These no-bake pops are made of marshmallows and candy melts. 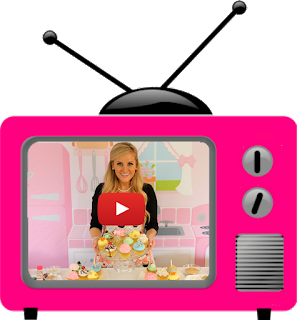 They are super easy, inexpensive, and as fun to make as they are to eat. They are a perfect St. Patrick's Day party treat. 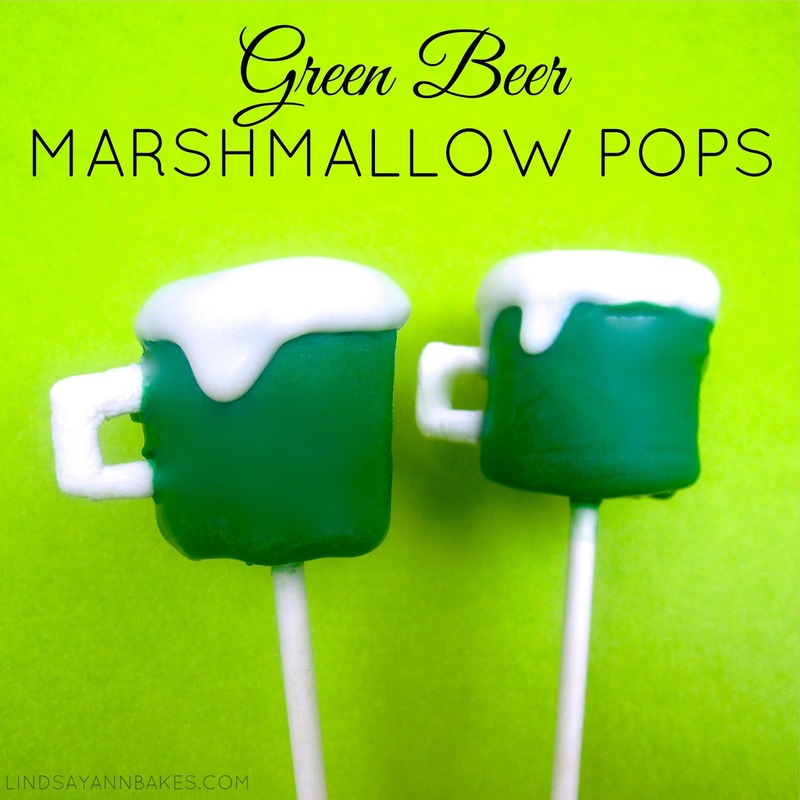 I have also made a classic version of these for other occasions without using mini marshmallows, so if you like these be sure to check out my beer pop tutorial for a variation on the mug handle. Push the lollipop stick through the flat side of the marshmallow (make sure not to poke it all the way through). Cut a rectangle out of the center of the mini marshmallow for the handle. 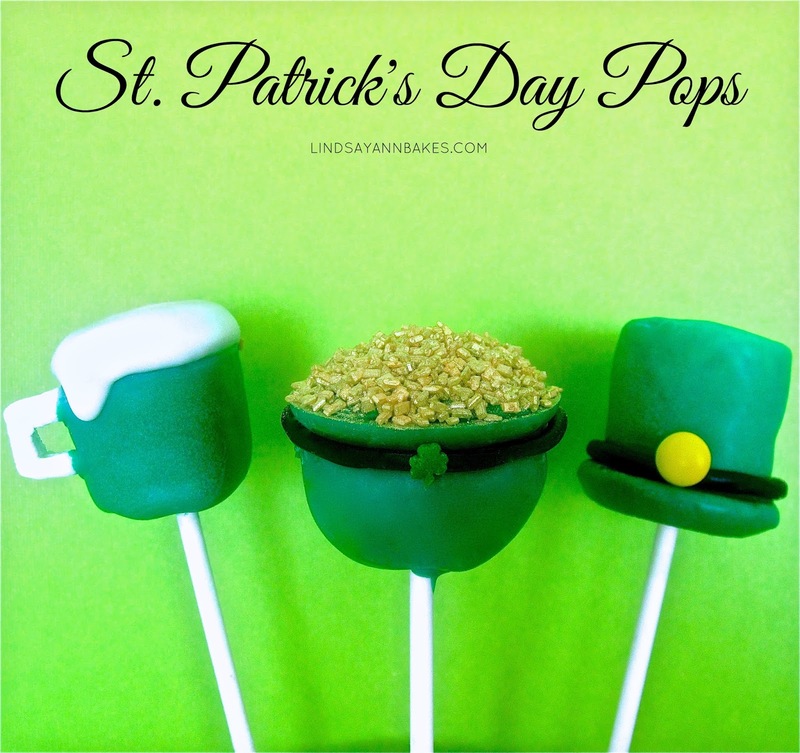 Once the green has dried, dip the top of the pop into your melted white chocolate. It's ok if it drips down the side of the "mug"... this makes it look more authentic. And there you have some non-alcoholic mugs o' beer.